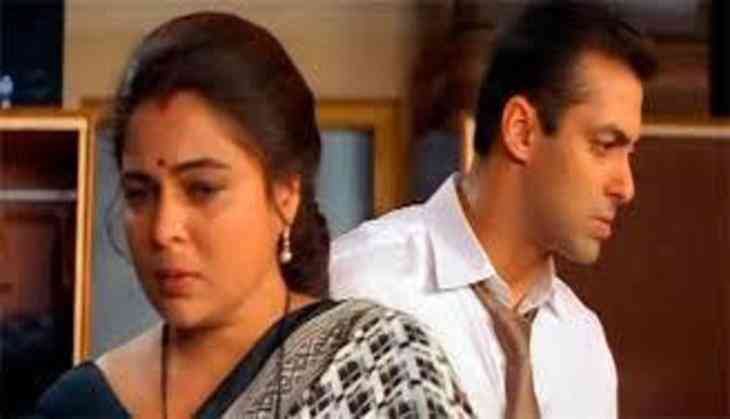 Home » Bollywood News » Reels will keep Reema Lagoo alive! Reels will keep Reema Lagoo alive! Perhaps the most celebrated mother of the Indian cinema, Reema Lagoo, who passed away in the wee hours of today following a cardiac arrest, was an all-rounder in acting. During her life span of 59 years, Lagoo proved her acting skills on stage, big and small screens, portraying every possible shade of a character. Born as Nayan Bhadbhade in 1958, Lagoo inherited her acting skills from her mother Mandakini Bhadbhade, a famous Marathi stage artist. Like her mother, Reema also forayed into Marathi theatre and remained a part of it for almost four decades. Soon Lagoo became household name, after her Kokiji character from 'Shriman Shrimati' serial. Her role as Juhi Chawla's mother in the 1988 iconic Hindi movie ' Qayamat Se Qayamat Tak' got her accolades. Salman Khan's mother's role in blockbuster 'Maine Pyar Kiya' in 1999 established Reema as the favourite choice of producers and directors for the 'mother character'. Reema also played a controversial role in Aruna Raje's 'Rihaee' in 1988, a dancer in 1980-flick 'Aakrosh' and a cold-hearted businesswoman in 'Yeh Dillagi' in 1994. Presently, she was portraying an antagonist in daily soap 'Namkaran,' named Dayawanti Mehta, which brought a completely different side of her acting prowess before the world. Reema married actor Vivek Lagoo, but they broke up a few years later. Their daughter Mrunmayee also chose to follow her parents' footstep and is now a stage and film actress. She may have left for her heavenly abode, but her presence in the reel world will keep her alive! Why do Kareena Kapoor, Saif Ali Khan make it a point to meet Mahesh Babu when in Hyderabad?